The award winning 5 Star Resort has a great reputation for hospitality, friendliness and service that ensures that all guests, especially families, have that “special” and much needed getaway!!! Star of the Sea was recently voted in the top 3% of Resorts in the world by Hotels Combined for Customer Satisfaction and has received Trip Advisor’s Certificate of Excellence for the last 4 years. 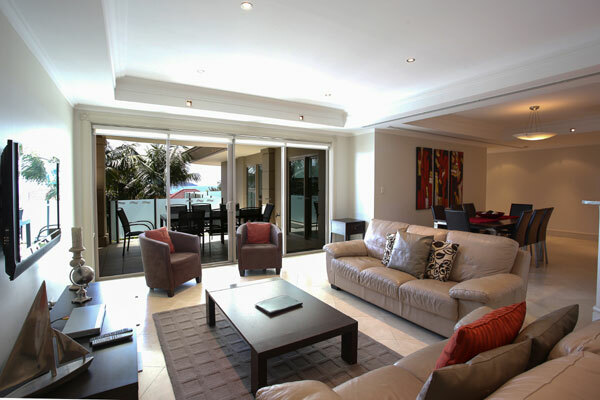 The multi million dollar apartments boast Italian Marble through out, are stylishly furnished with separate dining & lounge areas, ducted air conditioning, TV, DVD, CD & Foxtel and all units have free internet access. All units have 2 secure parking spaces provided free of charge. 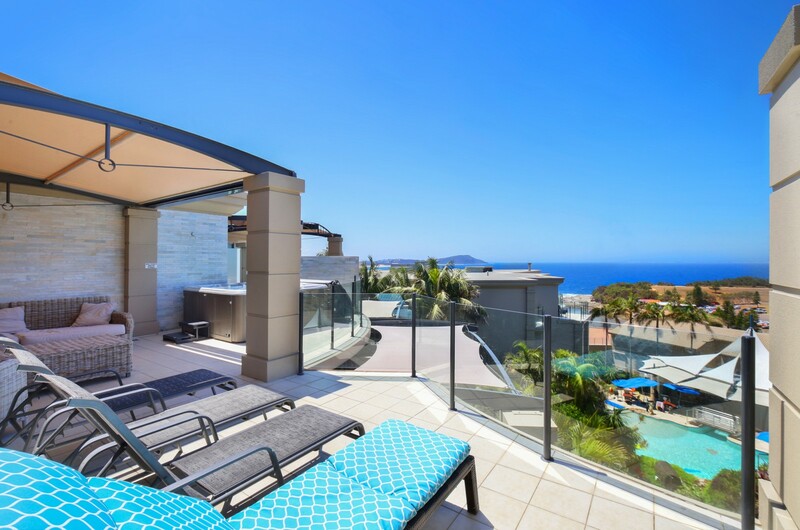 The huge balconies with ocean views along with the resort’s world class recreation facilities including 2 heated pools & waterslide , gym ,steam room, snooker room, tennis & squash courts, BBQ Area, New Kids Playground ensure that all you have to do is sit back & relax……the kids love it here! Terrigal Beach which is just a short stroll down the hill is fully patrolled and one of the safest beaches in Australia. The units are classified as garden view, part ocean or full ocean view and the premier ocean view so something for all tastes and budgets. You certainly can fly economy….business or first class at Star of the Sea. Some of the views are virtually the best in the world and explains why over 70% of our bookings are from previous guests. As featured on “Getaway” Star of the Sea is the perfect venue for family holidays, reunions, conferences, weddings, golf trips, special birthdays, staff incentive rewards and girls time out. 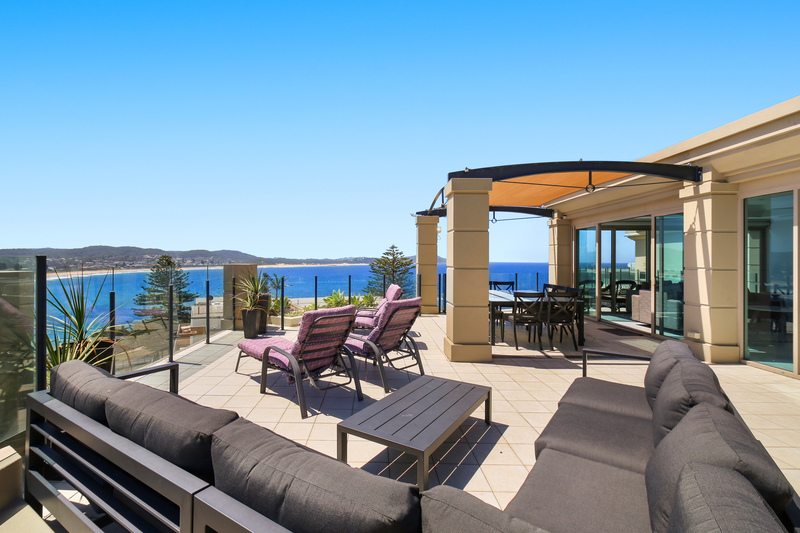 Trendy Terrigal is fast becoming Sydney’s Playground and was recently voted Australia’s 2nd most popular tourist Venue for Sydney Siders. The Midweek, Weekend & Winter Packages offer sensational value.